Steam cook the chopped carrots and keep it aside. In a bowl, beat the yoghurt, sugar and salt together. Add cooked carrot and mix well. Heat oil in a small pan and splutter cumin seeds. Saute garlic and add chilli powder and remove from flame. 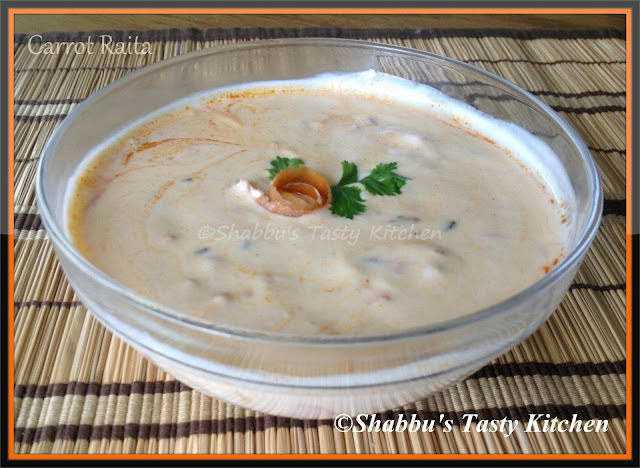 Loved this Raita ! Looks inviting..
Prefect pair for briyani,love it very much.